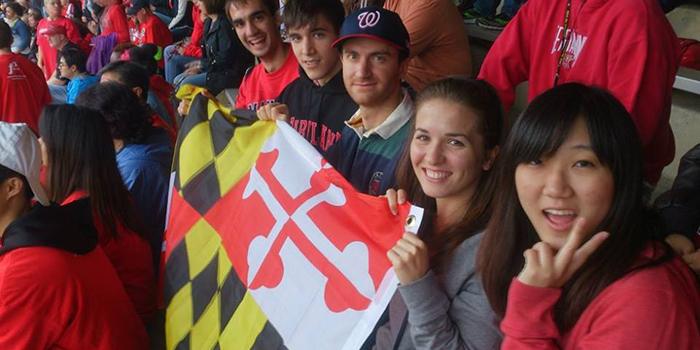 Contact the international office at your home institution and verify that your university is a UMD exchange partner. If so, then you must first apply to be an exchange student through your home university and your international office will nominate you to UMD. Within a week of your home university sending your nomination, UMD Education Abroad will create a student account for you in MyEA and you will be notified via email. You will receive a Login ID and temporary password. The temporary password expires within 24 hours. Your application will not be considered complete and will not be reviewed until all of the forms and submissions have been completed. Current original transcript with translation to English and grade translation scale demonstrating the equivalent of a 3.0/4.0 GPA grade scale. UMD will send you the decision letter within four weeks after you have completed all materials. Exchange students do not have to pay any application fees. Any application fees that are charged to your UMD student account or that you need to pay up front to submit an application will be refunded. If you wish to enroll in courses in Limited Enrollment Programs, we recommend that you apply by the best consideration deadline. We cannot guarantee any specific courses. Please refer to the UMD Academic Calendar for important university dates and holidays. Academic Requirements: You must have the equivalent of a 3.0 on a 4.0 GPA grade scale and have completed 2 semesters at your home university to be eligible to study at UMD as an exchange student. You are a non-native English speaker enrolled in a degree program at an institution in an English-speaking country where all of your classes are in English. You must have studied at this institution for at least one year.